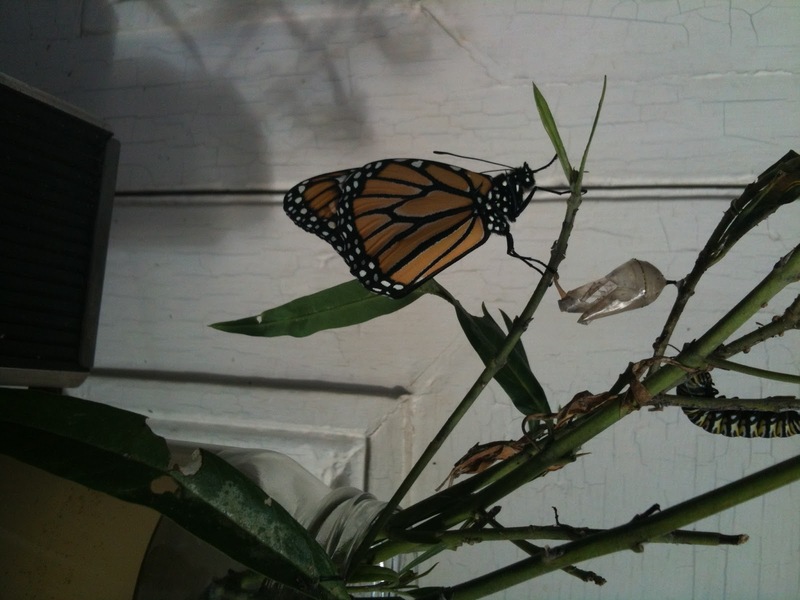 Over the past several weeks we have been watching the slow transformation of the caterpillar on our swan plant as it became a chrysalis and then, today, opened to release this beautiful Monarch Butterfly. Today we also attended the funeral of a much-loved family member, and I remembered that in many traditions the butterfly represents the freedom of the departing spirit. In Ancient Greek the same word, psyche, means both butterfly and soul.